The above info came from Ryukon, and was edited by yours truly (contact me). The image came from Amazon.com. In our world, having special talents are not that unusual. But for those who have extraordinary ones, like Yumemi Hidaka, who happens to be one who possesses the power to see the heavens hanging above our Earth, is rare. Ever since Yumemi was a little girl, she always thought that others could also see the world in the sky too. Yumemi would get teased and be called a liar by the other children because they didn't see anything at all, and none would seem to believe Yumemi except for two girls who later became her close friends: Ichiko and Suzume. They could not see the world Yumemi saw, but they stayed by her throughout the years. Despite Yumemi's unique ability, however, she could not see what peril and dangers the magical heavens were facing as different parts of the world in the sky raged against each other in war, and were on the brink of total collapse in which would eventually lead to both our demise. The magical realm above had a young king named Munto, who is a bit arrogant, yet is a good ruler to his kingdom and people. Even though his duties and his attempts to keep order were strong, he could not correct the irregular flow of Akuto, in which is the power that binds and keeps balance in our world and theirs, all by himself. Munto also had enemies that wished to see him dead so that they can rule over the magical kingdom and they chose this time of chaos to attack and assault, speeding up the process of everyone's downfall by disrupting even further the power of Akuto. Time was running out. Munto's advisor, who had the power to see into the future, Ryuley, instructed Munto to make contact with a human on Earth. A human that had the ability to see their own world and yet is a young middle school child: Yumemi, the Girl of Destiny. 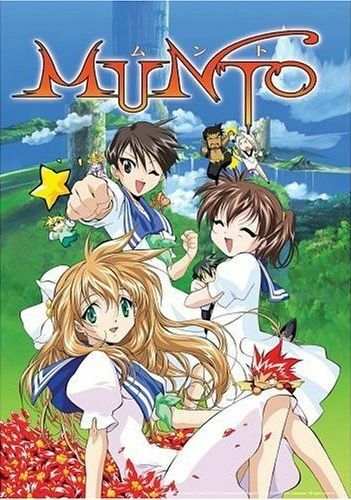 Both Munto and Yumemi must work together in order to save both the worlds from destruction. However, will the fate of all the heavens and here on Earth resting in Yumemi's hands prove to be too much for her? The above description came from Ryukon, and was edited by yours truly (contact me).